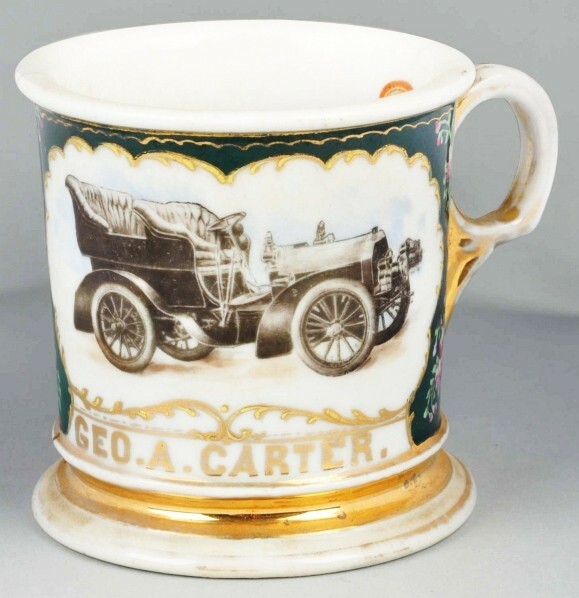 Shaving mug with image of early open automobile, Gilded “Geo. A. Carter”. Unusual full dark green wrap with nice flowers on either side. 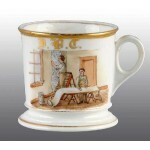 Decorator’s name J.M. Garrett on bottom. Size 3 – 5/8″ T.